How Crazy Is Elon Musk’s Mission to Mars? 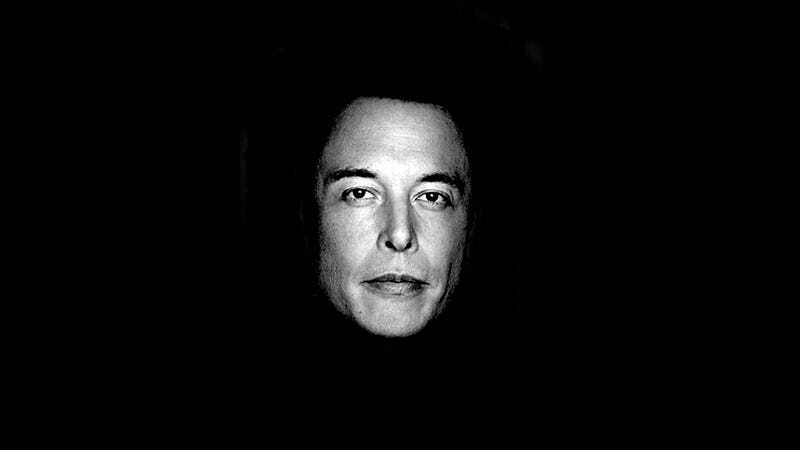 Yesterday, billionaire tech entrepreneur and noted late guy Elon Musk unveiled his hotly-anticipated plan to send humans to live—and die—on Mars. And not just a few humans: a lot of them. In a talk that wavered between overreaching science fair presentation and straight-up science fiction, Musk described sending fleets of spacecraft, each packed hundreds of colonists, to live on a dusty, airless wasteland that we’re apparently going to fix up with nuclear reactors and artificial magnetic fields. It’s easy to dismiss most of what Musk outlined as little more than a rich dude’s pipe dream. We saw a lot of beautiful rocket renderings, along with some staggeringly generous estimates regarding the cost of a ticket to Mars. (“Close to the median house price in the US!”) But when it came to hard deadlines, or concrete steps toward achieving our interplanetary immigration, Musk’s opus was thin. Most importantly, we have no idea who is going to pay for all of this. Here’s what we do know: SpaceX’s short term goal, of sending robotic landers to Mars within the next few years, is definitely doable. We also know that the Interplanetary Transport System Musk outlined yesterday will not will materialize without an enormous amount of financial and technical support from the international community. “I think it’s perfectly feasible that [SpaceX] will land a Dragon capsule on Mars either in 2018 or 2020,” Bobby Braun, a professor of space technology at the Georgia Institute of Technology told Gizmodo. As SpaceX first announced in April, it intends to start flying uncrewed “Red Dragon” missions to Mars beginning late 2018. These missions will consist of a Falcon Heavy rocket—a souped-up version of the Falcon 9, which SpaceX plans to debut next year—and a Dragon-2 robotic capsule, whose technology builds off the human-rated Dragon capsule SpaceX is developing under NASA’s Commercial Crew Program. “The plan is to send a Dragon-2 to Mars in a few years, and then another in 2020,” Musk said during his talk yesterday. “We want to establish a steady cadence, with every Mars rendezvous,” he added, referring to the launch window that occurs every 26 months, when the distance between Earth and Mars is at its minimum. A critical goal of the Red Dragon missions will be to test and refine propulsive landing technology for entering Mars’ atmosphere, descending, and touching down softly. All robotic missions to the surface of Mars so far have relied on parachutes to slow their descent through the atmosphere, but the Dragon-2 is going to be the heaviest human-made object to touch the Red Planet by a wide margin—and that means it’ll need beefier brakes. No doubt, SpaceX intends for the this propulsive braking technology to feed forward into more ambitious, crewed missions to Mars, which, based on some of the details we heard yesterday, will feature spacecraft that are utterly enormous by modern standards. It isn’t clear how many uncrewed Red Dragon missions SpaceX hopes to fly to Mars, nor is it clear how much these interplanetary test-runs will cost. In July, Jim Reuter, deputy associate administrator for programs in NASA’s space technology mission directorate, told Space Policy News that he estimates SpaceX will be spending some $300 million on the program. NASA will also be making a contribution to the Red Dragon missions, mainly in the form of engineering consulting, which Reuter has valued at roughly $32 million worth of time over four years. In exchange for advice and communications support during SpaceX’s robotic missions to Mars, the space agency will be privy to precious flight data collected during the Dragon-2's entry, descent, and landing—data that it will likely need to inform its own strategy for getting boots on the Red Planet’s surface in the 2030s. At this point, nothing about the timetable or cost of the Red Dragon missions seem prohibitive—assuming SpaceX gets back on its feet from the latest explosion disaster soon, it might even make the 2018 launch window. “It’s certainly technically feasible—anyone who has enough money can send something to Mars,” a senior executive in the aerospace industry who preferred not to be quoted by name said. But making the jump from small, robotic landers, to an “Interplanetary Transport System” capable of sending thousands of human settlers to the Red Planet is not going to be easy or cheap. That latter system, which pairs a gigantic rocket with an equally imposing spaceship capable of carrying “100 passengers at least” in reasonable comfort, was the focus of Musk’s talk yesterday. As he freely acknowledged, it might not happen. But even if Musk throws his entire net worth into building the largest rocket ever—a 12 meter-diameter booster, 17 meter diameter spaceship, and 122 meter tall stack—it’s hard to imagine that will be enough for more than a single prototype. He needs help, either from venture capitalists or government space agencies. NASA would be an obvious partner, but so far, the space agency has not given any indication that it’s going to support Musk’s martian colonial ambitions, in any manner other than kind thoughts, prayers, laughter, and tears. In other words, NASA is keeping its options open but maintaining a healthy skepticism, for now. And you can hardly blame the space agency. NASA has, after all, already taken huge gamble on SpaceX with the Commercial Crew Program, which is now at least a year behind schedule sending American astronauts to the Space Station. Even if SpaceX can’t woo NASA, there might be another space agency willing to invest in the billionaire’s vision. The list of space-capable nations is growing fast, and newer players, like Luxembourg, have already indicated their interest in supporting high-risk, high-reward commercial ventures. And, there’s always the possibility that another ambitious billionaire—say, that dude who wants to send robotic spacecraft to Alpha Centauri—will throw some seed money in. Optimistically, Musk says, we could be sending the first humans to Mars in a decade. In reality, SpaceX has not yet sent a single human into orbit or a single robotic spacecraft to Mars. Its rockets are still blowing up occasionally for reasons unknown, and its CEO is notoriously bad at meeting deadlines. It’ll be damn exciting to watch SpaceX take its first baby steps toward Mars. But in between the Commercial Crew Program, the Red Dragon missions, and the “kind of like Battlestar Galactica” vision for humanity’s future are a lot of incremental steps and intermediate milestones Musk glossed over—of designing, building and testing larger and more advanced rockets, of inventing the technologies needed to extract resources from Mars and sustain human life on it. Assuming SpaceX has good fortune and secures investors, those steps could still take decades. Musk is not an idiot: he knows it’ll take a planet to accomplish what he outlined yesterday. The point of his speech was not to show us that SpaceX alone can get it all done, but to convince the world that what SpaceX was founded to do is worth it. Correction: An earlier version of this post referred to Bobby Braun as an associate professor, he is in fact a full professor. The text has been updated accordingly.